Circa 1881. Winner 2014 Top 10 Romantic Inns and former 2009 Travelers' Choice for Romance. This nationally acclaimed inn, a block from the ocean and shops in the historic district, is comprised of two beautiful Victorian homes, restored and furnished with antiques. "Victorian Homes" magazine featured 23 color photographs of The Queen Victoria, because of its d�cor and luxurious amenities. Guest rooms offer handmade quilts, antiques, air conditioning, mini-refrigerators and all have private baths. Luxury suites and many rooms have a whirlpool tub and some with handsome fireplace. Afternoon tea is enjoyed while rocking on the porch in summer or before a warm fireplace in winter. Breakfast is hearty buffet style and the inn has its own cookbook. The innkeepers keep a fleet of complimentary bicycles available for guests and there are beach chairs and beach towels as well. The inn is open all year with special Christmas festivities and winter packages. Payment Types Accepted Include Master Card, Visa, Discover and Personal Checks. 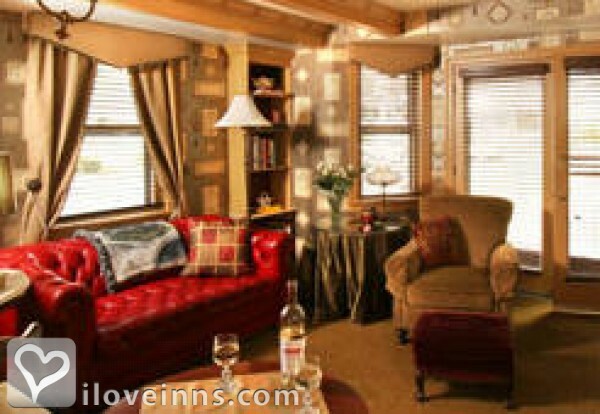 This property has 35 total guest accommodations, 7 with fireplaces, 14 with whirlpools and 2 cottages. The types of beds available include Queen and King. April-October & holidays three nights, also December. Summer three or four nights. November, January, February two nights on weekends. 21 days or if re-rented. The dates this property will honor the certificate are Monday-Thursday, November-March, except holidays, Christmas week and special events. One can not improve upon perfection. Nothing more to say. We had a wonderful time here. The service, cleanliness, beautiful room, location was all that we were looking for. The breakfast and tea at 4 was delicious and we looked forward to them. The Queen Victoria made our 25th wedding anniversary very special. Thank you! If you are in the market for a Romantic Interlude, you need look no further than Cape May's Queen Victoria. As lovely a spot as can be imagined, it improves on that by being sublimely courteous, friendly and relaxed as can be, and Ann Marie's breakfasts and teas are something to be remembered. Located conveniently accessible to everything of interest within walking distance, all you need to do is park yourself and enjoy your relaxed vacation. Once tried, you'll be coming back for more. The queen victoria is a relaxing and romantic inn for people of all ages.The staff is fantastic and the owners make you feel right at home. Great accommodations, fantastic hosts, "go out of their way for you" staff and delicious food. Looking forward to a return visit. We stayed in the Regent's Park suite and adored it. It was wonderfully cozy and romantic with a front porch and gas fire place. The suite was very clean and neat. My husband says it's one of the nicest places we've ever stayed and that he can't wait till we go again. The property is lovely and food is delicious. We love the Queen Victoria Inn and you will too! We've been visiting the inn for about 10 years and its always a great time, great tea's and great fun. We love the special attention we get from Doug and Anna Marie and their staff. Personalized welcome notes, turn down bed service with chocolates, complimentary beverages. We usually visit once a year, but this year we will be making three visits. We are most definitely spoiled!! We were given a gift certificate to the Queen Victoria for our 30th Wedding Anniversary. We had never stayed at a Bed and Breakfast. It was an experience of a life time. We loved our room, the company of staff and people like us staying there. The food was incredible. They could not do enough for you. It is now my favorite place to stay. Will be going back real soon. The atmosphere is so relaxing and you feel you went back in time and are leading a fine life in Victorian times. Our visit surpassed our expectations Tea time was alot of fun. Queen Victoria is one of those places you fall in love with the first time you stay there! Its location is ideal for getting around Cape May by foot for most of the time. Having bikes available to travel further throughout the city is one great advantage. The rooms of the Inn are beautifully decorated and the owners help make the B&B a wonderful, special place for the guests. We love the personal attention we have received at each of our stays and will be back to enjoy this home away from home for a lovely vacation at the shore! From the moment we arrived, the knowledgeable staff and owners made us feel relaxed and made our Anniversary Holiday just the way we were hoping to enjoy. Bike Riding, Beach, breakfast and Tea time made it all the better! The Queen Victoria - we love it! Our whole family stayed with "the queen" as a celebration of our dad's retirement -- 7 of us. It was wonderful. The hospitality and friendly spirit was delightful; service outstanding and the fellowship warm. Ann marie and doug were at our beckoned call when we didn't even know we had one!! They helped with reservations, suggested activities and made our stay as pleasant as could be. They are wonderful hosts and take an interest in the backgrounds and traveling experiences of all their guests. we came back because of a very positive first experience and hopefully will return again. Seven adults arrived in great anticipation and left with pleasing satisfaction. Thank you both!! My husband and I love Cape May. In June of 2010 we will be celebrating our 55th wedding anniversary at the very romantic and wonderfully appointed Queen Victoria. It will be the third year that we have done so. The breakfasts are simply delicious. I appreciate that my husband and I can either dine by ourselves, indoor or outdoor, or choose to dine with the other guests. Service and the food servers are first class. Oh, I forgot to mention the location. The Queen Victoria is a short walk to the beach and to the mall. A perfect place for guests relax and enjoy the sea breezes on the veranda. Can't wait for our June vacation! The Queen Victoria has been our romantic get-away since September 2006. We love Cape May and the Queen Victoria is the best of the best. We visit four or five times per year. We have made many friends during these stays, including both Doug and Anna Marie, the innkeepers. It is truly a magical place!! Our first experience was vacationing at the Queen's Hotel when my daughter was about 4 and we have come back a few times to their Inns. We love the welcoming from Maria,and the whole staff and the interactions w. Anna Marie. I have brought my niece with us and we can't think of anywhere else we would rather stay. The service, the staff, Amenities, fresh baked little bite cookies, etc. We are made to feel welcomed. Let there be 23 inches of snow for now, The Queen Victoria awaits! Peaceful, friendly, relaxed and I sleep in a bed that feels like a cocoon. My family looks forward to our stays, totally amazing indeed! We have been meeting several other couples at Cape May for several years now. We met while staying at another B & B. When that changed we moved to the Queen Victoria: Doug and Anna Marie made us feel so welcome that we now meet there twice a year. The QV is in the best part of Cape May, the quiet center. It is on tree-lined streets and is within walking distance of most popular destinations. However, you would never know you are so close to so much action sitting on the porch having afternoon tea or sipping the house sherry. The rooms are nicely decorated and even quieter than the common areas. Once again we had the pleasure of staying at the Queen Victoria. The accommodations and Staff were excellent. We were within walking distance of the Mall and many wonderful restaurants. At breakfast we were treated with homemade dishes, breads, fruit, and an assortment of drinks. Doug and Anna Marie are wonderful hosts who make you feel like a member of a special family. we were delighted to find a personalized anniversary greeting in our room when we checked in. The room was comfortable and clean. The owners attentive care made us feel that our special occasion was special to them too. Cape May is a special seaside resort which is a wonderful area to visit in any season. The Queen Victoria B&B is the best place to stay. The hosts are welcoming and always there to give advice on restaurants and things to do. The breakfasts are absolutely delicious and don't miss tea. 5 Stars! Our Absolute Favorite! We never considered ourselves B&B folk. Then We stayed at the Queen Victoria in Cape May, NJ. We've been going since 2005, and we wouldn't stay anywhere else. The Inn is immaculately clean. The owners, Doug and Anna Marie McMain, and staff have the perfect blend of professionalism, combined with their own personal touches; be it the wonderful breakfast they provide,or the afternoon tea. They are also very knowledgeable of Cape May, and can offer any guest ideas of whats to do there, from site seeing, to picking where to eat from the many fine restaurants. We've been coming to the Queen Vic for the last four years. The rooms are immaculate and comfortable. The food is delicious and imaginative. The staff friendly and really go the extra mile to please. And then there is Doug and Anna Marie who make you feel like part of the Queen Vic family. We recommend to all to visit and once you do you won't stop coming. We will see you this summer. We live in a home with 95 year old mom; daughter and son-in-law;a seventeen and thirteen year old grand-daughter. Oh, how we needed to get away! Our lovely room had a love seat and gas fired log. We installed ourselves on the loveseat and relaxed. Normally shy, we enjoyed the friendly hosts, guests and the delicious food. We wandered through three of the victorian homes and admired the fresh flowers and beautiful decor. I would like to send everyone I love to the Queen Victoria. The Queen Victoria is a Bed & Breakfast you must visit. It is clean, welcoming, comfortable and charming. Anna Marie & Doug along with their staff are wonderful. They are pleasant, helpful and caring. It is in a quaint town with great shopping and dining. We come to Cape May often, and we always choose the Queen Victoria. We stay at the Price Albert Hall, which is one of several properties on the site. The inn, hosts, staff, breakfasts are second to none. We have a choice to stay in many different inn's in Cape May, and we always choose The Queen Victoria. They even have bicycles that we take advantage of all the time. The location is perfect for walking to the beach or shops. There is no other place we would stay, and look forward to coming back again and again. We have stayed at the Queen Victoria for years and years. I have been there with my husband for a romantic weekend and with my sister and mom for a girlfriends weekend. It's become our fantasy to stay there. It's perfect from the second you walk through the door and check in until the moment you leave. It's clean and sunny and comfy and just lovely. Doug and Anna Marie have become old friends of the family. You will NOT ever be disapointed if you stay there!!!!! The Queen Victoria has alway been a special place for us. My husband and I stayed at this lovely victorian inn during the summer months. The staff and exceptionally warm innkeepers made us feel like royalty as well as the timeless accommodations. We felt as though we were living at the turn of the century with modern day amenities.The free bicycles and beach chairs were provided and much appreciated. Also the surrounding shopping and dining were so much fun and rekindled our love and time spent together. A must stay!! Despite the snow piles outside, our recent visit to the Queen Victoria was marvelous! We found the inn to be spotless and beautifully decorated. Doug and Anna Marie were the most friendly, outgoing and helpful innkeepers we have met in our B&B travels. The breakfasts are outstanding and romance is everywhere from the inviting couches in front of the fire to the beautifully decorated rooms. The Inn is within easy walking distance (on beautiful tree and Victorian home-lined streets) of the beach and the many shops and restaurants of Cape May's Historic District. The best B&B we have ever had the pleasure of visiting and can't wait to go back! We had a lovely time staying at the Queen Victoria for our 20th anniversary. Everything was wonderful and they gave us a special picture of the Inn to commorate the anniversary. We would reccomend this B & B highly. You must experience this Inn! The Queen Victoria has it all, location, ambiance, beautiful furnishings and facilities, and the service is unsurpassed. No small detail is overlooked, afternoon tea, sherry cannisters in the sitting rooms, stocked pantries for those who choose to stay inn their rooms and relax and bikes for romantic rides aalong the beachand through this historic town for those who are a little more adventouous. The restaurants within walking distance are world class. The innkeepers, Annamarie and Doug are the best. I can't say enough you have to experience it for yourself. For couples or friends looking to step back to a quieter time. Relaxing, romantic, terrific staff are just a few ways to describe the Queen Victoria. We loved the hot tub, the separate quarters....perfect for a honeymoon! My husband and I have stayed at the Queen Victoria and the Queen's Hotel on several occasions and were pleased every time! Great location, breakfast and close to beach. Best B&B I have ever stayed in. My husband and I have been to Cape May many times over the years. Our favorite Inn is The Queen Victoria. It is very romantic!! One our our favorite Inns to celebrate our wedding anniversaries. Doug and AnnaMarie pay attention to every small detail. It is lovely whether in Winter, Spring, Summer or Fall the Queen Victoria has it all! As someone who has stayed at the Four Seasons Hotel and experienced first-class service, I can honestly say that the Queen Victoria paralleled that experience. The warmth and attention with which you are treated and the excellence of everything from the food to the accommodations, is just that high-caliber! I chose the Queen Victoria for our first visit to Cape May, because of their generous breakfast menu, its location near the ocean and the wealth of information and photographs on their website. Everything I experienced exceeded my expectations. We booked the Prince Alfred room in the House of Royals and it was well-appointed, immaculately clean, and tastefully decorated in the Victorian fashion. The room was warm and comfortable and the bathroom was very nice... modern fixtures but true to a Victorian theme with marble tiled floors, marble counters and high ceilings. Breakfast and high tea were enjoyable. The food was always delicious and plentiful, the attention superb and the innkeepers, Doug and Anna Marie, were welcoming and extremely helpful, whether with dinner recommendations and reservations, suggestions for day trips or engaging conversations... As our vacation drew to a close, I wanted to extend it, and I realized that it was because I had felt �pampered� during my stay. The Queen Victoria will be a place we visit for many years to come! The most wonderful bed and breakfast. The locations is just perfect and the innkeepers Doug and Ann Marie make us feel so welcome and at home! The Inn itself is super and the innkeepers are extraordinary in their hospitality. My wife and I have been staying at the Queen Victoria for a dozen years. The Inn complements the romantic atmosphere created by Cape May, NJ, the romantic city of old lighted Victorian painted ladies. We love long hand held strolls through the town, eating at the many delectable restaurants located throughout the town and returning to our lovely room at Queen Victoria to anticipate the morning breakfast that will be waiting for us in the morning. Absolutely Amazing. My husband and I cherished every moment we spent there. We felt like we stepped back in time to a most wondrous place of the Victorian era. The Queen Victoria is Regal and full of magic. We never felt more at home and taken care of. Anne Marie & Doug are absolutely the most gracious hosts we've ever encountered. MY HUSBAND AND I WENT HERE FOR OUR HONEYMOON AND IT WAS THE BEST, WE STILL ALWAYS TALK ABOUT ALL THE WOUNDERFUL MEMORIES AND HOW MUCH FUN WE HAD! WE DEF ARE GOING BACK! Spent our 20th at the Queen Victoria and loved every part of it from the room to the courteous staff and all the local amenities. If you need to recharge your batteries I can't think of a better option and am looking forward to our return this Spring for our 22nd! the queen victoria is number one - with the number of inns cape may has to offer, there is always a "let down" once you check in. things are never as they appear on the web, when staging for photo shoots makes everything look perfect. however, the qv is as close to perfect as you can get. well taken care of in a loving sort of way. kudos to the innkeepers/owners, it's all because of the that the inn is number one in our book! We stayed only one night at The Queen Victoria on our first trip to the East Coast. Once we arrived, I knew that we would want to stay longer than just a night. The room was imaaculate, they have thought of everything. Upon waking and heading down for breakfast there was a basket of fresh towels, shampoo, etc. at our door. The breakfast was amazing, absolutely delicious. We certainly did not eat to lunch that day. We dined on the covered lanai, it was just lovely, listening to the birds chirp, very peaceful. The location was wonderful, we took a walk on the beach and then it was time to head to our next destination. We were very satisfied with this accommodation and impecable service. There are 4 bulidings with a total of soon-to-be 34 rooms so there is always a place to be welcomed to. Some rooms have a fireplace, some a double jacuzzi but ALL have Doug and AnnaMarie and their staff that treat you like family. This is the ONLY bed and breakfast my husband and I stay at when we go to Cape May, and that is pretty frequent! This Inn is very well kept. The staff is always helpful and gracious to the guests. Rooms are beautiful,each one different. Breakfasts and teas are well thought out and allow you generous portions. A wonderful place to enjoy a few days at the ocean. A quiet beautiful place to sit back and relax in wonderful Cape May, NJ. Close to the beach and quant place to stay. We have been back several times, and look forward to coming back again in the future. The historic charm is especially nice in the quietness of the winter. But be sure to go by Jan. 3rd, anytime after that, and the winter lights will have been taken down. Still beautiful, but not as magical as when the holiday charm is in the air. After a few other mediocre B&B experiences, my wife was no longer interested in B&B lodging...until our stay at The Queen Victoria in Dec '09! From the moment we walked in to register, you could tell this place was special. All the rooms were bright, beautifully decorated with a pleasant blend of Victorian decor and limited contemporary amenities. The breakfast and tea times were special with not only extraordinary offerings, but an option for group or private time shared. However, what convinced my wife and I to return to The Queen Victoria was the exceptionally friendly staff. This is a reflection of the inn keepers, Doug & Anna Marie. Their ever present hospitality, including restaurant recommendations and making reservations, made our stay so convenient and enjoyable. One weekend visit, and we felt like family. A must stay for Cape May!...Jim & Geri G.
Our Son saw life getting the best of us and decided to book two nights at the Queen Victoria for my wife and I. Not knowing what to expect, we never stayed at a B&B before, this turned out to be one of the most relaxing and romantic times we ever had. In October 2009 we were married at the Queen Victoria. The innkeepers were gracious enough to be our witnesses and the mayor of Cape May performed the ceremony. It was small and very victorian in the most romantic victorian home in cape may. It doesn't get any more loving than that! My husband and I first stayed at the Queen Victoria for our 25th anniversary. It was the most relaxing time we had spent in years. We have gone back every year since and stay in the Osborne Room. We love sitting on the front porch with a cocktail and talking to people just passing by. Everyone is so friendly. Doug and Anna Marie are great hosts. The inn is so authentic and the breakfasts and teas are wonderful. The location is perfect, right between the beach and Washington Square with all the quaints shops just steps away. We feel so comfortable there and will keep returning, next year for our 30th anniversary. We've done more traveling lately but this is a must for a long weekend every year. Wonderful people and lovely b&b. My husband and I went our 25th anniversary and couldn't have had a better time. We look forward to our stays at The Queen Victoria. My husband surprised me with a weekend in the garden cottage. Peaceful, close to the beach and great food and hospitality. We had stayed at the Queen Victoria on our anniversary. Doug and Ann Marie had a very nice anniversary card in our room upon our arrival. We had chosen one of the more private rooms at the Inn and we were not disappointed. We had a wonderful time during our stay at the Queen Victoria. We came here for our honeymoon. They thought of everything! They gave us an amazing room upgrade and all the little extras, like turn down service with chocolate as well as a framed picture of the inn with wedding congratulations! We can't wait to back! The Queen Victoria is consistently the most charming, warm and friendly bed and breakfast. We return each year as often as our schedules will allow. I have been visiting the "Queeny V" for over 10 years and find it to be very quaint and pleasurable be it summer or winter. Doug and Anna Marie are the perfect hosts, and always made my stay comfortable. To me, it's the only place to stay in Cape May ! We have stayed at the Quuen Victoria several times and feel it is the best of Cape May! You won't be disappointed by the rooms, food, staff, and service! The hosts are helpful and friendly, and all your needs are met in this serene and peaceful Inn. We have stayed at the Queen Victoria for three summer getaways and I wouldn't stay anywhere else!!! The best place we ever stayed in Cape May!!!! We've stayed at 7 or 8 different inns in Cape May, but the Queen Victoria is our fave. We'd like to try others, but we keep coming back. Although it's a piece of heaven, it's very down to earth. And of course, it is quite romantic. Go there and you'll see! my daughter and I spent last year at the Queen for our birthday and we are planning to return this year. This was the nicest and most relaxing weekend we have had in a long time. The owners and the employees were very gracious and the room was beautiful. The food was excellent and we highly recomend staying at the Queen Victoria. We loved the Queen Victorian. We spent our 20th anniversary there. The inn keepers treated us like vip guests. The room was beautifully furnished with period antiques. The bikes they provided were awesome. We especially enjoyed evenings on the porch swing. We stayed at the Queen Victoria on a rainy cold weekend in November and loved it! The room was cozy and romantic, with a fireplace,a canopy bed and a whirlpool tub. The owners are so friendly and accommodating. The breakfast was delicious and the house itself just beautiful. They were just getting Christmas decorations underway when we were there. We'd love to go back again. Maybe this time we'll get there in sunny, warm weather! The Queen Victoria was a wonderful inn to spend a romantic weekend in for two people in love. The atmosphere was charming and the staff was more than helpful! I would suggest this to anyone looking for a weekend retreat. We can't wait to go back! My husband and I made a trip to Cape May in October 2009. We stayed at the Quenn Victoria. All accomodations should be like this! We particularly enjoyed the quiet, romantic evenings "people watching" on the front porch of the Queen's Cottage. Everything about my stay was wonderful, the proximity to the beach and shopping, the inn keepers were knowlegable about what was going on in the area and where to dine. The hospitality was the best! I enjoyed sitting by the fire or the beautiful porch enjoying a quiet moment or chating with other guests. I have stayed at other B&B'S in the area but find this the best in all aspects. We enjoy our visits to the Queen Victoria very much. We try to get there as often as we can. Especially for our anniversary. The Queen Victoria Inn and its owner/innkeepers are impeccable. The rooms are perfect. The grounds are perfect. The innkeepers do everything within their capabilities to ensure guests have all of their needs met. And it is in Cape May, NJ, a beautiful historic town with some of the most fabulous restaurants. We were welcomed warmly and felt that it was just like being home. It was our first visit but not our last. The Inn keepers were gracious and very friendly. The breakfast was great and there was a good variety of choices. The room was warm and cozy. Location of the Inn was close to everything. My wife loves the decor, the ambiance and the thoughtfulness of the owner and staff. We enjoy our rooms for whatever romanticism is on our minds...and the long walks on the Cape May beaches only a short distance away increases our pleasure. 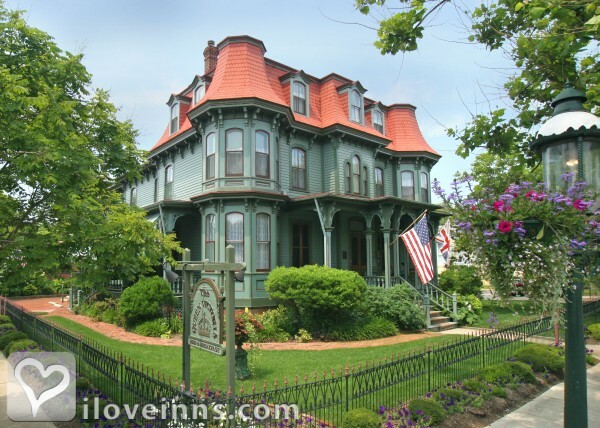 This is a well kept and well appointed Victorian era inn and it is beautiful! 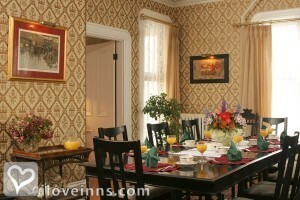 We visit Cape May as often as possible and always stay at the Beautiful and Romantic Queen Victoria Bed and Breakfast. There is truly no place like it. The property is filled with rich historic victorian charm and the innkeepers and staff are beautiful people inside and out. They make you feel so at home. Every room in the QV makes you feel warm and fuzzy. The breakfast and afternoon tea are simply delectable making you want to come back for more. The inn has great attention to detail with nothing left out. The rooms are beautiful and filled with antiques and all the comforts of home like soft comfy sheets and wonderful soaps and towels. The romantic fireplaces make you forget about things troubling you. Let's not forget the great porches and rocking chairs. I have said it before and will continue to say it: The Queen Victoria in Beautiful Cape May is simply magical-better than Disney World. So everyone, give yourself a treat and book a getaway to the Queen Victoria- you know you deserve it!!! We love the Queen and AnnMarie and Doug. One of our favorites! We've stayed at the Queen Victoria at least three times. It is above and beyond what we expected. Each stay has been very special to both my husband and I. Extremely clean, beautiful, quiet, friendly. We thoroughly enjoyed our stay at the Queen Victoria. Breakfasts were fine, and the location, and service was excellent. Comfort was as we expected. We had never stayed at a bed abd breakfast before, and didn't know what to expect. We were greeted with a warm smile when we arrived, and that feeling continued through out our two night stay. The room was beautiful, the fireplace just mfinished the perfect touch of ambionce. The breakfast selections were varied and complimented each other. Choices of beverages were also a pleasant decisions to make. The atmostsphere made any shared meal so relaxing. The "special" details in the afternoon teas and the room layouts made our stay memorable. Can't wait to return. Since Doug and Anna Marie think of everything, just go, relax, and enjoy. Our stay at the Queen Victoria was the most relaxing weekend we have ever experienced. On our next visit to Cape May we will become one of the many repeat customers at the Queen Victoria. The Queen Victoria offers the finest accommodations when planning a trip to Cape May. Great location. Afternoon tea and pastries are not to be missed--there's actually a mass exodus from the beach around 4:00 p.m. back to the inn. We're already planning our next stay in Cape May at the Queen Victoria. Queen Victoria is the best B&B there is. We vacation here every year, the same week and even the same room and I wouldn't change it for anything in the world. My husband and I spend much needed quality time together and meet us with our QV friends. What a wonderful, warm and inviting atmosphere greeted us upon our first visit to the Queen Victoria for New Year's weekend. Everyone went well beyond the norm to be helpful and informative. We will try hard to get back there for the spring/summer season! Simply the best place you can stay in Cape May! From the gourmet breakfast served with a smile, to complimentary bikes and beach chairs, everything at the Queen Victoria is top notch! Just a short walk to town or the beach! We found the truly royal treatment for our stay; nothing but wonderful hospitality and service. Outstanding breakfasts and tea times. Loved using the bikes to ride the promenade and streets of Cape May. WE HAVE BEEN STAYING AT THE QUEEN VICTORIA FOR ABOUT ABOUT 7 YEARS AND WE WILL NOT STAY ANY WHERE ELSE. SPENDING CHRISTMAS THEIR IS A VERY SPECIAL EXPERIENCE. We love coming to The Queen Victoria. The Inn is so romantic and so beautiful. The Queen Victoria is a wonderful place to stay. Doug and AnnMarie are the best. My husband and I stayed with them almost two years ago for our honeymoon. We plan to return every year just to say hello to them. 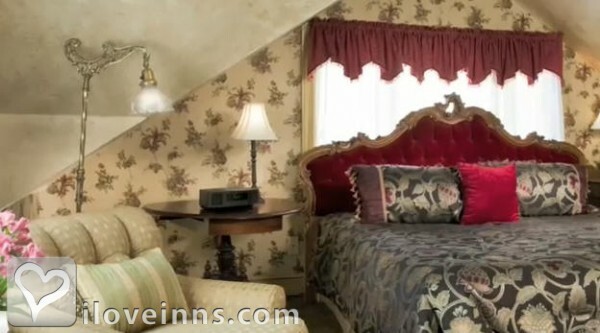 This lovely Inn & it's associated properties is unsurpassed in Cape May. There are so many beautiful, well appointed rooms, it's hard to choose! We have stayed at this Inn 3 years in a row and are already booked for the 4th! The Queen Victoria is the best. The owners are a wonderful.We think thats the reason we keep going back.The service is great and so is the food. The location is right in the center of town. Angela & Jim Hanna Mullica Hill N.J.
My husband and I started going to the Queen Victoria 5 years ago for our wedding anniversary and have been there every year since. We choose to go during the off-season and have been there in the winter and spring. Every time we go there is always something to do. Whether it be Christmas decor or Tulips and daffodils there is a feast for the the eyes! The rooms are elegant and comfortable with modern amenities. Tea time and breakfast are filled with generous servings of sweets, savories, and your choice of teas or coffee. Doug and Anna Marie offer great dinner recommendations and only recommend those places that they have tried and approve of. :) This is a place that you will be planning your next trip back before you even leave. Be sure to access The Queen Victoria's website for current pictures of the rooms and property. To celebrate my husband's birthday, we went to the Queen Victoria. February often is cold and miserable in Cape May, but the warmth of the Inn and its owners dispelled any winter chill. They presented him with a special picture that we later had framed to commemorate the visit and his special day. I loved it, we stayed there in September and even though it rained 2 of the 4 days it was wonderful! Wonderful personal service. Great 4o'clock tea and...Quiet location with a private front porch to have our evening coctails. My husband and I only stayed @ The Queen Victoria for a short time a couple of summers ago, and the relaxing, warm feelings we found there lasted for months. I recommend this B&B to anyone going to Cape May. The hosts could not be more obliging or understanding and are so easy to talk to. Had the most beautiful getaway weekend in June of 2009. The queen Victoria was an absolutely beautiful bed and breakfast. My girlfriend at the time had always wanted to visit Cape May. I decided to surprise her with a trip and decided to propose to her on the beach. Unfortunately, the weather didn't cooperate. During a break in the rain after dinner, I proposed to her on a roof deck/balcony at the queen Victoria. The inn was provided us a romantic and unforgettable weekend. This might be the best bed and breakfast I've ever been to. Everyone here was helpful and it was a great getaway for the weekend. We stayed at the Inn recently (May 2009) for our 38th wedding anniversary and it was more than we could have hoped for in terms of comfort, service, food quality and menu selections, amenities (bikes, proximity to shops, restaurants, beach, and the porch is to die for!!). We look forward to a return trip. The Queen Victoria is perfect for a weekend getaway. Even if the weather does not cooperate, the wonderful food, excellent service, and sumputous surroundings will more than compensate. We try to make it every year even if for a short stay. we just love it there. The Queen Victoria was the first B&B that my wife and I ever stayed at, and it is our favorite. The buildings and grounds are beautiful, and the innkeepers and staff are friendly and professional. As an added bonus, the location is close to the beach and shopping. We absolutely love the Queen Victoria. THE BEST B&B IN ALL THE NORTHEAST,BY FAR.ALSO IF YOU HAVE ANY,ANY FOOD ALLERGY THEY TAKE CARE OF YOU. WE'VE GIVEN GIFT CERTIFICATES TO OUR FAMILY FOR GET-A-WAY WEEKENDS,AND NOW THEIR HOOKED TOO. My wife and I have been staying at the Queen Victoria for years - each time we stay we are never disappointed. My wife and I are frequent visitors to the Queen and not only is the facility a showcase and of the highest quality so are the innkeeprs and their staff. The rooms are ALL worht the stay !! You'll not be disaapointed in this one! I have stayed many times at The Queen Victoria over many years and through two different owners. Each visit has been a joy and I always look forward to when I can return to enjoy the experience all over again. Definitely a must stay when you are visiting historic Cape May. The rooms, the food and the people are top notch. my husband and I have been going to the Queen since our first year of dating. We absolutely fell in love with the place, decor, staff, food. We would go every year for our anniversary but now try and get there every chance we get. We even had our wedding tables "named" after each of the rooms of the Queen. We've stayed at the Queen Victoria on several occasions. Each time we've been there we were impressed with the cleanliness, the congenial atmosphere, the food, and also the location. Which is convenient to everything. I surprised my husband with a weekend away. The Queen Victoria was just perfect! I had even arranged for a massage for him in the room! We had unusually warm weather for Jan. and we were able to bike ride (bikes provided) and even walk on the beach. The Queen Victoria has been our special romantic vacation get-a-way for 19 years and counting. We have returned at least once a year, and try to make it twice, since we spent our honeymoon there. The the rooms are all beautiful and the service is always top notch! Romantic Weekend Fit for a Queen! The Queen Victoria Inn is a warm, inviting place to stay for a quick getaway or a week's long stay. Owners are gracious and very hospitable. I have been staying at the Queen Victoria for years and have only the best memories of this romantic hidaway. My boyfriend and I stayed at the Queen Victoria in February 2009. It was to celebrate our first Valentine's Day together. Our room was perfect, and we loved our private balcony. Our trip to Cape May was wonderful, and our stay at the QV was excellent. It was so clean and comfortable and very romantic. All of the staff were so helpful, we cannot wait to book another weekend later in the year! We love the Queen Victoria. My girlfriend and I consider it a special treat and we like stay here a couple times throughout the year. The owners, Doug and Ann-Marie are fantastic! The best place to stay in Cape May or anywhere else for that matter! My husband and I have stayed in many inns all over the country. We compare each of them to the QV. Hard to beat perfection. Quiet, quaint, delicious food, privacy, amenities, gracious hosts and efficient staff. Worth every penny. No crowds, less traffic. Less expensive with the same delicious food and care! Don't miss the walk through the estuary. We stay here every year. A perfect way to enjoy a Cape May experience. Walking distance to shopping, foods and beach. Wonderful place and Military friendly! We have so many romantic memories from our "royal retreats" at the Queen Victoria, especially in the winter season! From the scrumptious breakfasts to the regal yet oh so comfy decor, we felt like we were on our own private romantic getaway. Who needs the Bahamas? We always return to our home, family and jobs more relaxed and more in love than when we arrived.When we were unable to get a reservation at the Q.V., we have been disappointed when we've stayed at other B&Bs. Can't wait for our next romantic interlude in March! We had a wonderful time on our latest stay at The Queen. It was our Wedding Anniversary and wine tasting weekend. What a combination. We would deffinitly do this again. The Queen is so beautiful decorated for Christmas. It is by far the very best that we have ever stayed in and we have stayed in a number of BB through out Vermont, Maine and New Hampshire. The Queen Victory is royalty and when you have a Royal Flush that beats all. 1. Breathe - nothing but the fresh sea air 2. Stretching - sit outside on the bench and reach over for your honey. 3. Physical activities - bike ride, walk the beach or board walk, take a stroll into town; it is only a two block walk each way. 4. Watch your diet - outstanding private dining all competing for your return visit. 5. Sleep - plenty of opportunity to catch up on some zzzzz. 6. Music - open the window and listen to the ocean. 7. Turn off the TV and Computer - no distractions around other than the beauty of the area. 8. Have time to relax - peace and quiet is abundant. 9. Meditation - get with your body and mind. 10. Laugh - bring along good friends to share the enjoyment and pleasure of the area. Me and my wife stayed at the Queen Victorian in Feb. 2010.What a romanic place to stay. The rooms are fantastic the staff is the best and the food is great.We had such a fantastic time that we will be going back real soon again and again.This building is so beautiful,you feel like you went back in time.Everyone should experiance the Queen Victorian in cape may nj.You will return time and time again. We have always loved the QV but love it especially since Doug and Ann Marie have taken over. We wouldn't stay anywhere else in Cape May. Took my boyfriend for his birthday and we enjoyed every minute! The innkeepers are very nice and hospitable. The amenities are perfect for a getaway and i have taken every opportunity to get back since my first visit. We stayed over Thanksgiving weekend in '09 after seeing a review of the inn in Victoria Magazine. ABSOLUTELY beautiful, romantic and relaxing experience. The Inn hosts are lovely people and went out of there way to make our holiday stay wonderful. The Inn was decorated so beautifully-it took your breath away. My husband and I had the opportunity to stay at the Queen Victoria in September 2009. It was an amazing experience. The owners, Doug and Anna Marie are so accomodating and made sure everyone felt welcomed. We met so many wonderful couples in that short time period and have already booked September 2010 and are so looking forward to it. The B&B was immaculate, breakfast was great and we enjoyed sitting on the veranda and chatting with our fellow guests. Doug was so helpful with his recommendations for wineries, restaurants etc... Cannot wait to return!! We had a great time at the Queen Victoria. Our room was cozy and delightful & with the fireplace it was very romantic. We stayed a couple of nights and I have to say the breakfasts and the afternoon refreshments were delicious. I give the Inn 5 stars for cleanliness, and that added comfort and ease to our romantic getaway. I don't like to visit the same place twice. However,i've been to the queen multiple times. The Queen Victoria is the center of romantic Cape May. When we first started to visit, there were no televisions in the rooms. Need I say more about how conducive the cosy and charming rooms were to entertaining ourselves when we weren't on the beach, fine dining or strolling the lovely lanes? More than 25 years later, we're still staying at the QV and welcome the television and dvd player as we rest from the day's activities and look forward to the romantic evenings. We still love the beautiful decor, the warm and friendly service and the homey ambience of tea on the porch. Not to be missed. Don't miss a performance at the marvelous Cape May Stage, an equity theater group. Always well done, with fine actors and imaginative sets, it's a great evening. Newly remodeled, each seat is a good view, although we do miss the rocking chairs in the back row! My wife and I are happy to be regular guests of this excellent in since 2001, and we have recently celebrated our 10th visit to The Queen Victoria. From the elegant rooms and the superb breakfasts and teas, to the friendly and knowledgeable innkeepers, we would not consider staying anywhere else but The Queen Victoria. The Queen Victoria always sets the bar for inns and B&Bs. We stay in numerous inns each year across the US and have never experienced an inn that exceeds The Queen Victoria. We lived in Cape May Court House and I had told my wife that I wanted to stay at a Bed & Breakfast in Cape May before we left the area. It was all that I expected and more. From the romantic, quaint Victorian room to the lovely served breakfast, we were overwhelmed with the owners friendliness. A lovely parting remembrance gift sealed the deal. Our first stay with you was 19 yrs. ago & we did a home preg. test that was POSITIVE. After 4 yrs. trying,I'll never forget it. We brought our 2 kids back as teens a couple yrs. ago to share the beauty, warmth, cozy, friendly, great food, beach...just the whole experience was the best. I love the Queen Victoria! I hope to make it back again one day (just the 2 of us). A fabulous romantic inn. Quaint and clean. Wonderful staff. We stayed at the Queen Victoria this past October. It rated a "standing ovation" from my husband and me. It was first class all the way from the generous amenities, the food, the cleanliness, the ambiance, (loved those afternoon teas on the porch) and especially the gracious "royal treatment" you receive from the hosts. Want to score points with your beloved? 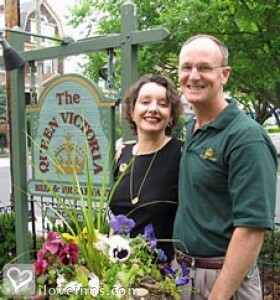 Take her/him to the Queen Victoria in Cape May for that romantic weekend, or mid-week get away. Patricia Senkow, Throop, Pa. Most romantic, beautiful inn in Cape May! When my sister had to cancel our annual Cape May Sisters vacation I was so disapointed. Even considered cancelling completely but then reasoned that Doug and Anne Marie are such delightful hosts and the guests are just lovely and so very friendly...that it would be okay for me to vacation alone. I did and never felt lonely at the Queen Victoria and had a completely enjoyable time. Thank you All! I always have a great time at the Queen Vic. My wife and I try to visit at least once a year. It's close to the beach and is near many fine dining establishments. We've been going to the Queen Victoria since our initial pre-honeymoon stop immediately after our wedding in June of 1995, and continue to visit, almost 15 years later, as our romantic getaway. The Queen Victoria is the BEST!!! Anne Marie and Doug are charming hosts. ROMANTIC AND OH SO COMFORTABLE! It's been awhile since we have been at the Queen Victoria but now that I just got my iloveinns book we are ready for another visit SOON! It is a wonderful place, Doug and Anna Marie always available to give their recommendations for dining, touring or just hanging out. The inn is beautifully decorated in all seasons, my favorite being Christmas time. Breakfast is yummy, the sitting rooms perfect for relaxing and reading a book. Is it romantic, yes!! Even for old folks like my huband and me. After finding the Queen Victoria, all I can say is that it is the only place my wife and I will stay in Cape May. The staff is wonderful. The history, decor (especially at Christmas) is wonderful. Just the little value added things that include the daily tips of what to do and see, just makes the entire experience a wonderful event. If Doug or Marie recommend something, it is a sure fire winner. Romantic - Love it Love it!!! The Queen Victoria is a romantic, peaceful B&B in a great town with great owners and great guests. We can't get enough!!! Romantic Luxury and Fun, Too! The Queen Victoria in Cape May combines sumptuous Romantic luxury (almost decadence!) with the creature comforts and efficiency we expect in the 21st century. Everything about the Inn is perfection itself: from the richly appointed rooms, swimming in comfort, to the variety and quality of teas, coffee, and delicious quiches, cakes, and fruit delights served at breakfast and teatime. The owners go out of their way to make you feel at home. Sitting in the parlor before a roaring fire with a flute of champagne, listening to Liszt or a contemporary favorite....ah, what could be better than that? The beds are plush and snuggly, perfect for couples ready to celebrate Valentine's Day all year long. There is no more enjoyable way to spend your days and nights in Cape May than at the Queen Victoria! Great romantic getaway for a long weekend!!! Beautiful, charming, romatic bed & breakfast. Excellent food and afternoon tea. Owners very hospitable. My husband and I love this place so much, that it feels like home to us. We spent our honeymoon there almost ten years ago and try very hard to go back every year. We have stayed at many B & B's but nothing compares to the Queen Victoria, we have been spoiled. Thank you for everything you do to make our stay always without fail the best! I've vacationed in Cape May between 30-40 times, and this was the best kept Victorian homes I've seen, but the incredible service is what makes it my top pick. Top notch service. Top notch hosts. Doug and Ann Marie are the best hosts we've ever met. We went in the middle of February last year, when the streets were quiet, the air was cold, but the warmth of the facility was so charming. It was 'cheese' weekend, and we thoroughly enjoyed it. I can't wait to go back again one day. We have stayed at the Queen Victoria the last 12 New Years Eve for 3 night stays. It has become part of our tradition to bring in the new year. Each year we look forward Doug & Ann Marie's hospitality and wonderful rooms. A true NJ treasure and a must stay in Cape May!! What a beautiful and romantic vacation this was for us both. First time in Cape May and we fell in love. My wife and I have have stayed at the Queen Victoria 5 different times in 5 different rooms and each visit was an excellent experience. This is definitely our favorite place to stay at our favorite city to visit- Cape May. The innkeepers Doug and Anna Marie as well as the entire staff are always courteous and helpful. All of the units are well kept. Breakfast and tea are promply served each morning and afternoon and the dining areas are set up to favor conversation amongst the guests. There are actually 4 closely knit houses where you can stay and each of the rooms in every unit is unique and well decorated/themed. 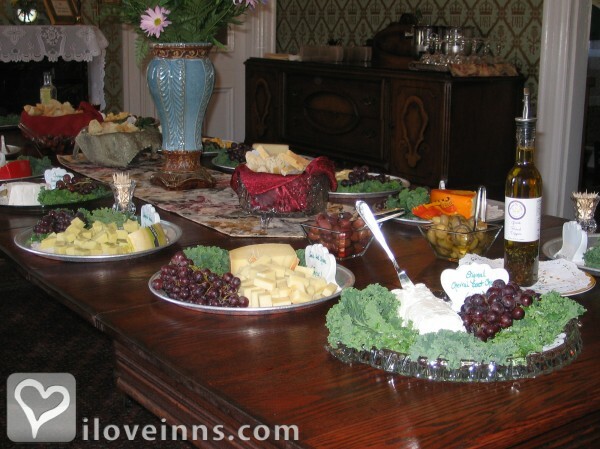 Cape May has events going on throughout the 4 seasons and the Queen Victoria has their own events as well such as wine tastings at local vineyards. We love the Queen Victoria and it's staff and have already booked our next trip there later this February. our stay was so nice, we enjoyed the warm hospitality, the daily teas, the beautiful rooms, the beauty of the porches and gardens and the service was always professional. doug and anna marie show their love of innkeeping and show such a friendly welcome to their guests. my husband and i look forward to our next opportunity to stay here again. In today's hectic world, it is often difficult to find a ture get-a-way. We found our get-a-way in the Queen Victoria. Always excellent service, and always a pleasanct experience. Simply the best B&B in Cape May !!!!! We love staying at the Queen Victoria. With our lives so busy it is nice to get away. We had our first experience with a Northeaster right before Christmas. We wanted to get away from the hustle and bustle of the holiday so we stay for the weekend through a snow storm. It was great, we have never seen snow on the beach before. Several years ago we had a stay in the winter. A pleasant surprise. 1st rate in all things. The day we left for home it snowed. In a hurry I left my good leather coat behind. Upon reaching home I discovered my error,,,,called and they said not to worry they would send it to me,,,,NO CHARGE. Can't be better. What a wonderful experience. My husband and I spent our 46th wedding anniversary at this wonderful inn. Ambiance galour, great hosts, beautiful room, wonderful location, and yummy breakfasts and teas--what more could you want! The Queen Victoria is so quaint and admiring it is mood setting. It puts one into a leasurly relaxing way which brings about a total closeness in partners most enjoying. My wife and I enjoyed our stay and planning for another. My husband and I stayed at the Queen Victoria in Jan. 2009 - we enjoyed every minute of it! Everyone was so welcoming, we felt like we were with family! Can't wait to go back. Right in the center of everything in Cape May! Wonderful owners and staff! Delicious breakfasts! Historical, Beautiful, Comfortable Rooms! Like her namesake, this Inn is a very romantic lady! my husband and I didn't want to go far away for our honeymoon, because I had two young children. 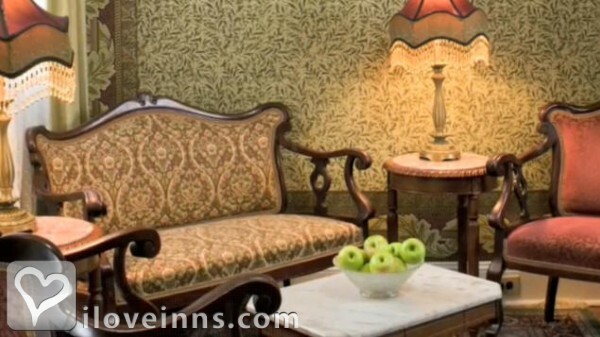 We decided to stay in Cape May for a few days and selected the Queen Victoria, we couldn't have selected a more romantic, friendly and private establishment. The cozy private rooms with fireplace and jacuzzi tub, warm and friendly staff , I could go on and on. We decided when the kids got older to return. I am happy to say four children later, we returned to the Queen Victoria for our 15th Anniversary and had a better time then we did the first time. What a wonderful romantic celebration for our 40th wedding anniversary. The Queen Victoria made sure that all the little special moments were all highlighted in some way. A framed souvenir picture left in our room with a caption mentioning our anniversary was one we will always remember. The attention to detail about everything they do is superb. And not enough can be said about the fabulous breakfasts. We have met so many wonderful people who keep this inn running, it truly deserves to be 5-star rated in our books. Looking forward to our visit in April. If you haven't been there, treat yourselves and reserve your rooms now. Thanks so much for the personal service and thoughtfulness of your staff. May you have many, many more years of continued success. After visiting other B&B's in Cape May for years,we finally tried The Queen Victoria and were so glad we did.Its our favorite place.The rooms are beautiful and so are the different buildings.The personal attention from the inkeepers was wonderful.Attention to detail was also appreciated.They even gave us bath salts for the whirlpool.Who does that!And the mini refrigerator in our room that looked like an antique ice box was adorable and practical.Breakfast and afternoon tea was great.The location of the inn is outstanding.Close to everything.We never moved our car!We will be back. My girlfriend and I experience a very tranquil vacation at The Queen Victoria. The first time I ever felt a breath of fresh air. It was totally amazing. Too much cannot be said! Wonderful from top to bottom! You won't believe the accomadations and the change in attitude after visiting the Queen Victoria. You will feel like royalty. We only had one night to get away & so wanted it to be special. It was that and more. Our hosts want above and beyond to see to it that our visit was perfect. The room & amenities far exceeded our expectations! Will definitely go back again! My husband and I love the Queen Victoria! We go every year in April to celebrate our anniversary. We have tried other B&Bs over the years, but the Queen Victoria is by far the best and most romantic. Doug and Anna Marie are such gracious hosts. They welcome you with open arms and have lovely suggestions if you are looking for things to do or places to eat. Breakfast is always a warming experience. You can tell all of the guests feel right at home. All of the rooms at the Queen Victoria are lovely, but we love to stay in Prince Albert Hall. The "hidden jewel" of a porch is one of our favorite places to relax and have a quiet drink together. The Queen Victoria is conveniently located in the middle of everything. You can take a quick walk to the beach, a quaint stroll to the shopping area, or pleasant walk to any one of the many fine eateries in the area. You never have to get in your car if you so choose! If you are looking for a nice, quiet and romantic getaway, the Queen Victoria - our Crown Jewel of Cape May - is the best choice! 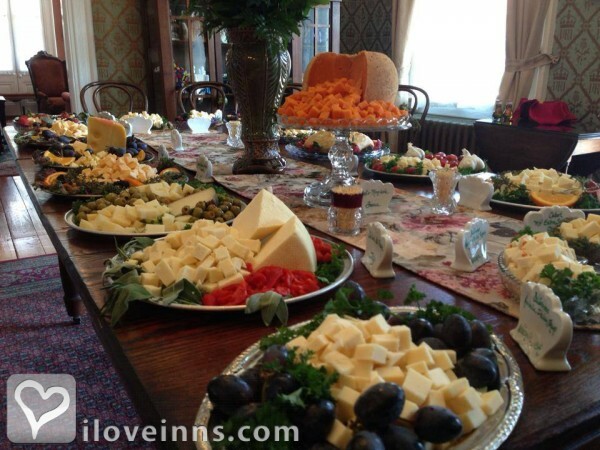 Absolutely the best romantic bed and breakfast in Cape May. Have stayed at other inns and our stay at Queen Victoria has alwyas been the one we remember the most. From the swing on the porch to the lovely victorian decorated rooms and suites, Queen Victoria provides an ambience that encourages the romantic moment between the two of us. Many services are available to encourage the enrichment of a relationship so my wife and myself return again and again. A quiet walk on the beach hand in hand or rides on the provided bicycles all enhance our coupleness. The Inn was all our friends told us we were celebrating 33 years of marriage and it was the perfect setting to renew our plege to each other. My wife and I are "quasi" empty nesters and are now able to enjoy some private time without our two girls. We discovered the Queen Victoria 4 or 5 years ago on a very rare alone time getaway. It was gorgeous and we had a great time sitting in front of the fire and cuddling. Since that visit we have returned many times particularly in the last 2 years. We have found it to be a great experience and a wonderful place for us to reconnect as a couple. 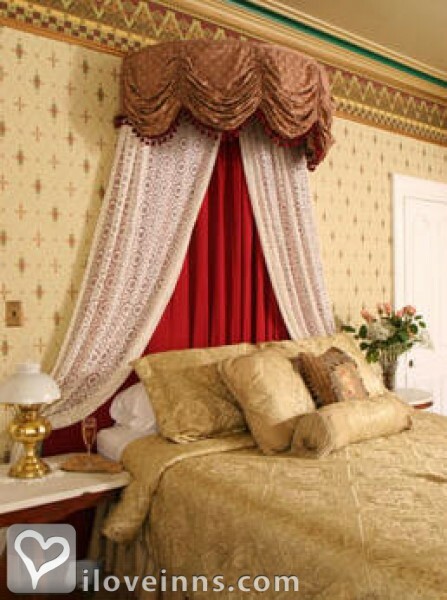 The rooms are gorgeous and feature wonderful antique furniture with romantic canopy beds and many with whirlpool baths. The common areas are equally cozy and romantic with fireplaces and little hidden nooks to have privacy. For my wife and me it's a fountain of youth that makes us remember why we fell in love in the first place. Be prepared to fall in love all over again. We really enjoyed our stay at the Queen Victoria. The hospitality was wonderful, the room was clean, location was perfect. We are going back for Valentines Day - can't wait!! After a long hectic summer, my wife and I enjoyed a perfect loving, relaxing and perfect late summer weekend at this fabulous Bed & Breakfast Inn that met all our expections. The Queen Victoria is the Most! 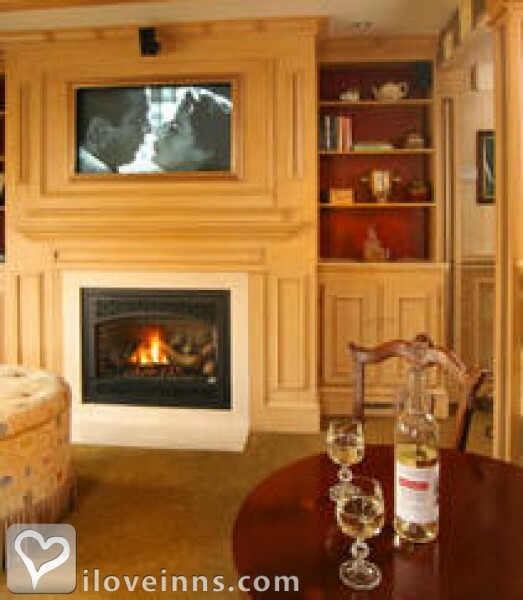 I believe the Queen Victoria Bed and Breakfast Inn in Cape May, NJ is the most romantic place I have ever stayed. Doug and Anna Marie and Staff go out of their way to make you feel pampered, especially when celebrating a special occasion (you receive a water color drawing of the QV matted with your occasion mentioned). 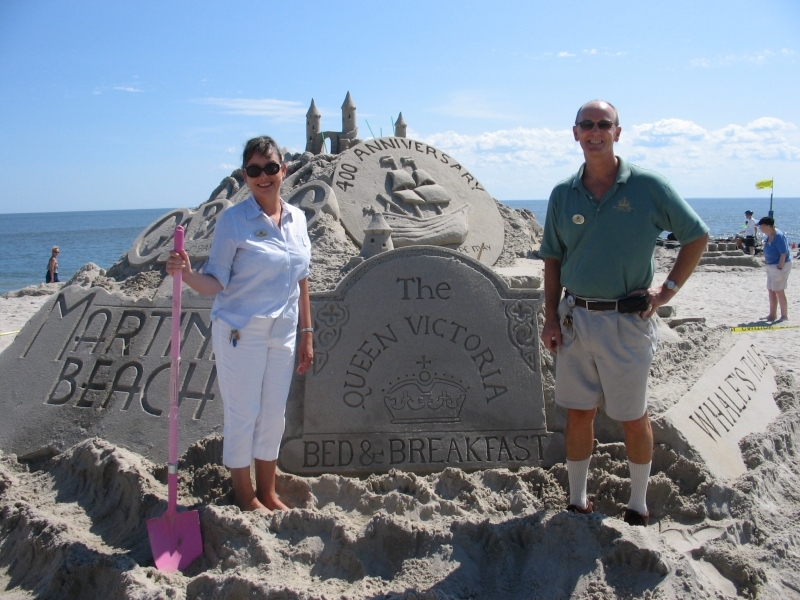 Cape May is a special town and the Queen Victoria is the most special inn of all! Perfection is the best way to describe the Queen Victoria.The staff are the best we have met in all our travels. The innkeepers, Doug and Annamarie,treat us like friends staying in their home.We will keep coming back! one of the most relaxing & friendly B&bs I've ever frequented in the US or Europe!! If you want quiet comfort, a beautiful room and great service at Cape May, you need to stay at The Queen Victoria. Walking distance to everywhere, bikes available however. We have stayed there many times and enjoy ourselves. Tea time is special along with the romantic settings. very romantic inn. would recommend for anyone looking for a romantic getaway. The Queen Victoria in Cape May, New Jersey, is one of the nicest and most comfortable inns we've stayed in. Doug and Ann Marie are perfect hosts, the staff is very friendly, and the rooms are spectacular. For folks who love the quiet grace of the Victorian era, the QV is hard to beat. 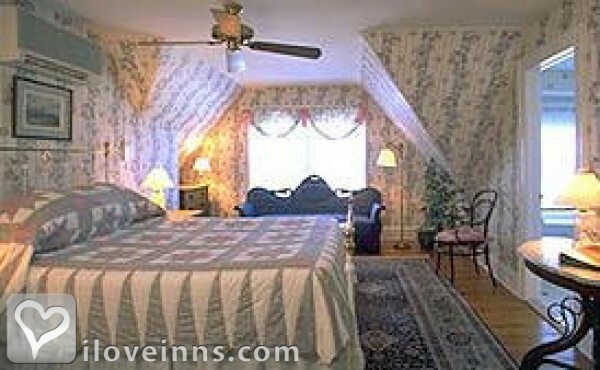 The Queen Victoria is a romantic inn in beautiful Cape May. We return yearly for a the fourth of July holiday and enjoy visiting Cape May while being pampered at the Queen Victoria. My husband and I stayed for a romantic anniversary getaway weekend here . It was early June , and the charm of the Victorian decor mixed with the ocean breezes of Cape May made for a wonderful and memorable time. The free bikes allowed us to tour at our own pace the surrounding of the Cape May historic section as well as the beach front area and famous light house. The tea and breakfasts on the porch were really inviting for conversation and the entire setting allowed for privacy and comfort. Our stay at the Queen Victoria was the most relaxed vacation we have ever had. Everyone was very friendly and helpful by explaining what there was to do in the town.The afternoon tea's were very enjoyable. The rooms were beautiful and comfortable, and the breakfasts were delicious. We enjoyed the bike ride around the island. We plan on this romantic getaway every summer since our first trip to the Queen over 3 years ago. The rooms are spotless and the service is prompt and courteous. We look forward to seeing Doug and Anna Marie every year. They make you feel like part of the Queen's family. The breakfasts are well thought out and the menu variety a delight. The location to the beach and the plaza is a plus. Will see you next summer our friends. From the moment you step into The Queen Victoria, you know romance is on the menu. The fresh smell of the ocean nearby and the soothing sound of horse drawn carriages create a perfect location to stir up thoughts of romance. Add in the special touches that the innkeepers provide such as turn down service w/ sinful chocolates and a glass of sherry by the roaring fireplace and your recipe for romance is complete. My advice is that if you want to let your hair down and put the world on hold head straight to The Queen Victoria. Doug was most hospitable to us while we enjoyed an afternoon tea. Food was delicious. Breakfast hostess was friendly & helpful. Our room was clean-bathroom was fantastic-thoroughly enjoyed jacquizzi.Look forward to our next stay. My husband and I stayed at the Queen Victoria the last week of August and certainly feel that it is one of the best romantic inns we have stayed at. Everything was very rate and so quiet. We did not hear any noise from the other rooms. Food was great also. Would certainly go back to this inn again. We have stayed at the Queen Victoria 3 times. After staying at other B&B's we realized there was something special here. Now we will make it an annual trip for our romantic weekend. A lovely, romantic inn. My husband and I spent a long weekend there. The service was wonderful, the room was romantic and comfortable, the area is beautiful. Would I stay here again...in a heartbeat! Great inn...great hosts...great food! My friends from high-school get together once a year over the long Labor Day week-end to do the "girl thing". The Queen Victoria and Cape May could not be a better destination. the Inn is the cleanest I've ever had the pleasure of staying in and to have beach chairs and bicycles at our disposal was an extra treat! The Queen Victoria is beautiful and comfortable inside and out. You can choose to be part of the lively conversation or stay secluded in your own private world if you prefer. The innkeepers are friendly, knowledgeable, and pay attention to every detail of their inn and your stay. We love it! We enjoyed our recent stay at The Queen Victoria to celebrate our anniversary!